It was a sunny day once again yesterday. 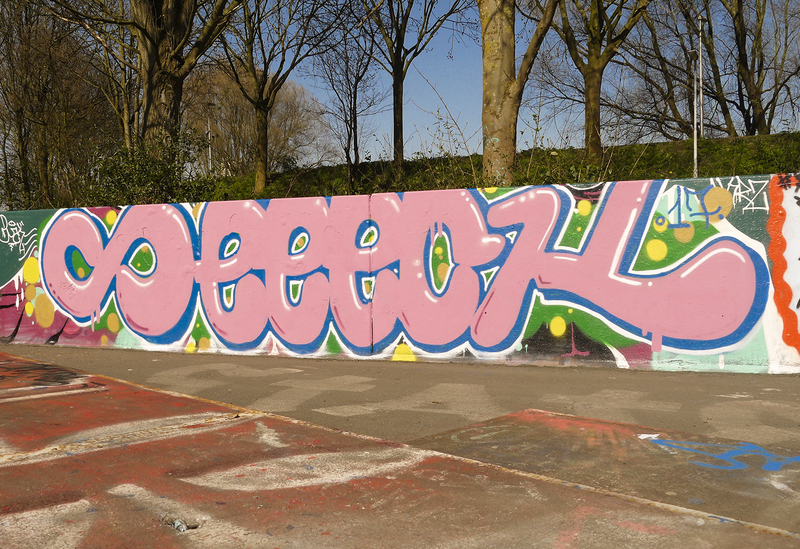 Nice to feel the summer is coming our way.. Me and my old friend Tober got out in Spijkenisse to paint the local skatepark, with old pink tex offcourse! And pink fill means bubble letters, at least this time. We've had a good one!